Taking Out a Mortgage or Maxing Credit Cards to Take Advantage of Bitcoin Mania? If you go to a casino and lose your money, chances are good that you can’t sue the casino. Unless you are a card counter, when you walk through those doors you know the odds are against you. Recently CNBC financial commentator Jim Cramer compared Bitcoin mania to gambling in Vegas. We think the odds are worse. The only good news is that sometimes you can recover your losses. Writing a column that warns of cryptocurrency isn’t very popular these days. The largest of all the cryptos, Bitcoin, has already risen in price this year by a staggering 1,700%. And some say it may rise by 10,000% by the end of next year. Others say it will be worthless. Who is right? That isn’t the purpose of this column. As fraud recovery lawyers, we know that the smell of money gets fraudsters and conmen coming out of the woodwork. With so many people racing to get a piece of the action, Bitcoin mania has brought out the who’s who among fraudsters. If Bernie Madoff and Sir Alan Stanford weren’t already spending their lives in prison, you can bet that would be cooking up their own schemes. If you lose money in the upcoming Bitcoin crash, and it will crash, chances are that you have no one to blame but yourself. Unlike losing your money in a casino, however, you may be able to recovery if you invested in an initial coin offering (ICO), cryptocurrency futures contract or through a broker / financial adviser. These folks have the duty to make honest and full disclosures to customers, perform due diligence on the investments they recommend and only make recommendations they feel are suitable for their clients. We recently received a call from a man who maxed out his credit cards on the advice of a financial adviser who told him that he needed to invest every penny he could muster in a new ICO. And this was a guy who has a family to support! It doesn’t end with credit cards, however. Some advisers are pushing would be investors to mortgage their home to raise money for Bitcoin and other cryptocurrency schemes. We can’t envision any scenario for the average investor to use credit lines, credit lines or home equity loans to invest in ICOs, cryptocurrency futures or even cryptocurrencies themselves. Sure, some investors who are comfortable with speculation and don’t need immediate access to their money may want to invest a portion of their portfolios in cryptos. But borrowing money to do so? That is a nonstarter. We know that despite the odds, folks go to casinos every day. Others use bookies or bet the ponies. We won’t change human nature. Financial professionals, investment advisers, stockbrokers and commodities brokers have a legal obligation to their clients, however. If you lose your money because one of these folks recommended one of these investments, you may have recourse. Financial professionals owe certain duties to their customers. One is the “know your customer” rule. Before making an investment recommendation, brokers must fully understand your financial goals, knowledge of the marketplace and risk tolerance. They also need to have an accurate financial picture of you. For example, someone who is 68, about to retire and has only her 401k monies to live on shouldn’t be pouring those into risky investments. Suitability goes hand in hand with know your customer. Once your broker knows about your financial situation, he or she can only recommend suitable investments. Like a gambler in a casino, you are free to throw away or risk your money on speculative investments. Your broker, however, shouldn’t be encouraging you or urging you to borrow more money to invest. Why would a broker do this? The answer is easy. Commissions. The more you invest, the more they make. Financial professionals also have a duty to perform due diligence on the things they recommend. In our experience, very few people fully understand cryptocurrency and blockchain technology. They only thing they know is that in our current “Bitcoin mania,” some cryptos have risen by 1,700% in just one year and that makes it easy to sell to their customers. 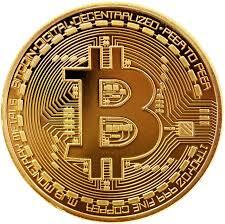 This post is primarily geared to investors in Bitcoin and other cryptocurrency. Several experts say that most of these offerings are scams. Even if Bitcoin is legitimate, we know that some of the Bitcoin exchanges such as Mt Gox have had their fair share of fraud. Hopefully you never need our services but if you lose money in one of these scams, we are here to help. Many of the people we speak with work within the financial services industry. If you have inside information about an ICO or investment scheme tied to cryptocurrency, you may be entitled to a substantial cash award. Since 2014, we have helped our clients recover over $100,000,000.00 in awards. That isn’t a typo. The awards are real. See our contact information below. We love helping honest employees to put an end to fraud and collect awards. or by phone at 202-800-9791. All inquiries are confidential. Whistleblower with inside information? Substantial awards may be available through the SEC, IRS and CFTC Whistleblower Programs. There are no fees for our services unless we recover money on your behalf. Contact through any of the means above.